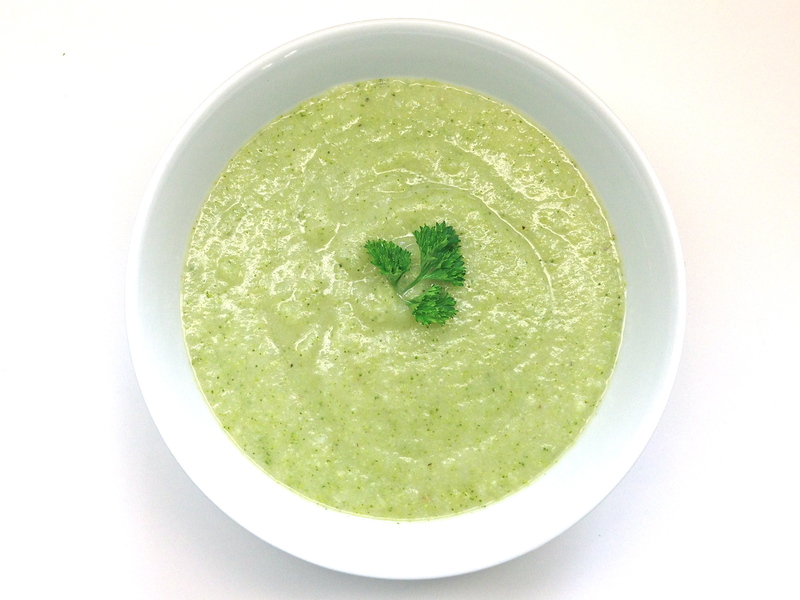 This is a delicious and “creamy” soup without the cream and the calories! It is gluten-free and organic and can be made vegetarian by replacing the chicken broth with vegetable broth! Heat olive oil in large pot over medium heat. Add onions and cook, stirring occasionally for about 5 minutes, until translucent. Add garlic, broccoli stems, potatoes, broth water, salt and pepper. Bring liquid to a boil. Cover and simmer for 5 minutes. Finally, add broccoli florets and cook for about 7 minutes, until tender. In a blender, puree soup. Return to pot and warm until ready to serve. Garnish with parsley. Serves 6. I’d like to try this with sweet potatoes – I wonder if the soup would come out blue? My attitude is no harm in trying! Good luck! I’m especially interested to try, as there is no cream 🙂 – I made my current offering “with” cream, but that was because it was a special occasion and that was how my dad always made it. Personally, cream would add a wonderful richness to the soup! But on a everyday basis, I think it is quite satisfying! Hope it works out for you.